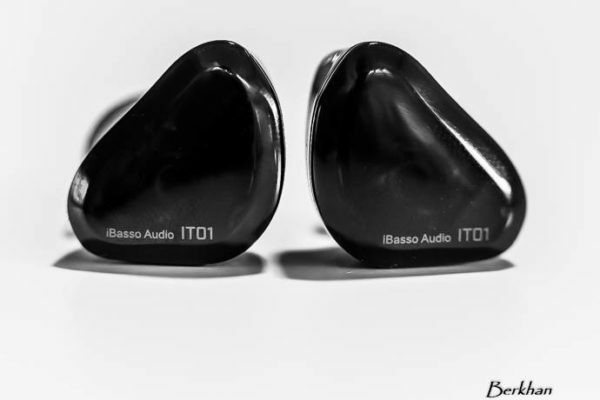 Disclaimer: It’s always been a big challenge for us to get review samples from iBasso. Luckily for me my friend Haja from the French Audiogarden.fr shop was nice enough to lend me both for an extended time for the review. To thank them for lending me the units, I have inserted a banner going to their iBasso page. Now it’s ibasso DX50 vs DX90 time! When I listened to the DX50 for the first time over a year ago at Canjam Europe 2013 I really wasn’t blown away with the sound. At this year’s Canjam Europe I received both the DX50 and DX90 and when I got home I started using the DX90 as my daily DAP and oh my, was I impressed. Just looking at both units it will be extremely hard to distinguish which one is the 50 or 90: they look identical. They feature a 2.4” touch screen (320×240) which isn’t the best. Well it’s quite alright but compared to the Amoled screens of the Astel&Kern DAPS this screen is a long way behind. 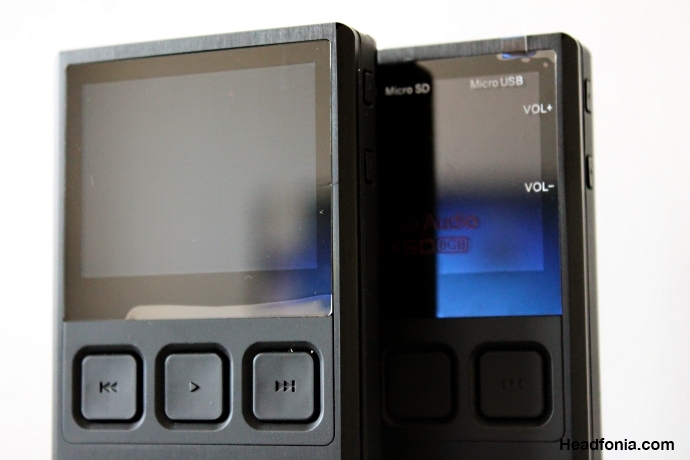 It’s more like the Fiio DAP screens but with touch screen possibility. On the iBasso DAPs you need the touch screen or you simple wouldn’t be able to use it. Too bad the album artwork is so small. Size wise I think iBasso absolutely nailed it with these units. Measuring 2.52W x 3.98L x 0.67H (inch) and 64W x 100L x 17H (mm) they fit perfectly in your hand, pocket or hard box (see picture). They only weigh around 140g or 4.94oz as well. Impressive stuff. The lay out is basic: Coaxial out on the top left, microSD slot right next to it and the micro USB connector right next to it. On the left side there is the power and lock button, on the right side the volume controls. On the bottom you’ll find the headphone out and Line Out and the gain switch. The DAP is really easy to operate and at the same time it keeps its cool. I do have to admit that I in the beginning kept plugging my headphones in the Coax connector on top. Habits die hard. The DX50 and DX90 take 3 to 5.5 hours to charge but the DX90 consumes a lot more power. While the DX50 gets 14 hours of playtime out of one charge the DX90 gets you only about 8.5 hours and that’s under my 10 hour limit. Both units feature an 8GB on board flash memory and the SD-slot will accept cards up to 128GB. Like every other self-respecting player on the market the iBasso’s support: APE, FLAC, WAV, WMA, AAC, ALAC, AIFF, OGG, MP3, DSF . 24/192 is the norm. Besides the battery life time and a small difference in weight there weren’t any differences between both players so far. Where are the differences then? Well, it’s all different inside. 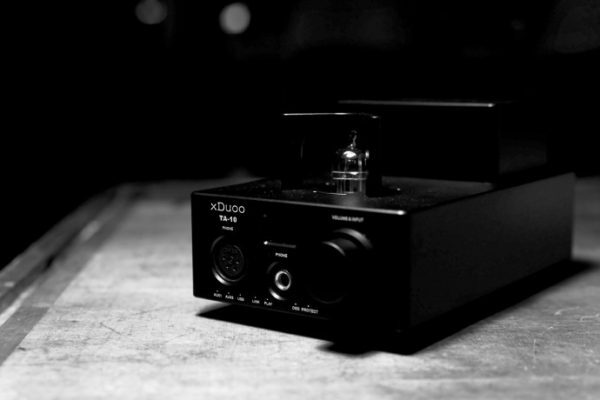 The DX50 uses the world famous WM8740 DAC chip. Like so many music lovers I was a fan of that chip but I have to admit that, while it still is a good chip, there are so many new and better chips on the market. It’s like iBasso was thinking the same thing and with the DX90 they went for a Dual Mono Design using the ESS Sabre 32 ES9018K2M Dac chip in combination with the OPA1611. What a difference that makes sound? You will find that out in the next part but it’s not a small improvement, I can tell you that already. You should try it with 2.1 lurker/international or 2.1.5 L2.. Great stuff !! can you please compare dx 90 with herus, theorem and ifi idsd micro. which of them will sound best with low impedance cans (less than 100 ohm, mostly dynamic), except theorem as its out of budget. ok. so I will use very easy to drive load like akg k550, any shure model, then herus will give better detail than theorem ? cause dac part is better, but not amp? also is beyer dx160 good? worth the money? can you compare it with hifiman re400? I am only talking about the DAC part. To me you should use the Herus only as a DAC, not an amp. It’s to thin and lean sounding. Therefor the Theorem as DAC/AMP unit is a lot better, it actually is great. thanks Levian. A general question. is it fair to compare dap like this to desktop setups like I did? or are they in another league? It depends on your desktop setup, but in general I wouldn’t no. Great and very cohesive review Lieven!! There’s something different about the review, more enthusiasm perhaps? Do try the latest Lurker firmware, the 2.1.5 L2 if I’m not mistaken. It wasn’t the first time for me to change firmware but I always get a little shocked upon hearing differences between them. It’s too great to be placebo and my impressions on these parallel those on Head-Fi even prior to seeing them. One Head-Fier claims it to be a beast and to better even the AK120ii in technicalities with the latest modded firmware. I wouldn’t know though. If I had one qualm, it would definitely be battery life. Not only is it short as it is but imagine when the battery life starts going down. Thank you, Marc. Some people find me overenthusiast and so I try to hold back a little. In this review I didn’t and maybe that’s what you’re seeing. I really love the DX90 and I think it should show. Ummm! It seems i am going for the DX90. I already own the dacmagic xs as a dac/amp that i hook up to my laptop. 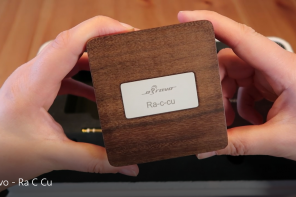 Its a very clean sounding dac, but might be lean-sounding as well. Coming from the dacmagic xs, do you think the DX90 will give me sound improvement as well? I think you described the Dacmagic correctly. How were you thinking of using the DX90? 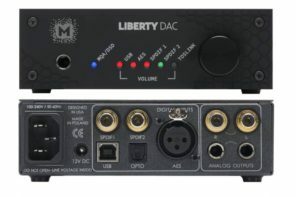 Just as a DAC or as DAC/AMP? I will be using it as DAC/AMP. Btw! What do you think an open headphones in the $300-$400 that will be a good match to the dacmagic xs? 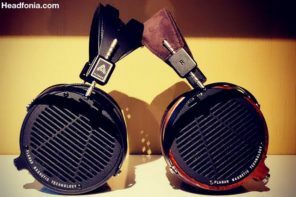 I was thinking of the fidelio x2 but i am still waiting for the headfonia review come out. Any recommendations? Or even guesses if you havent tried it with any open headphones? 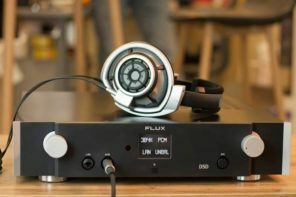 Hai L, I assume you’ve tried hifiman HM801 (or maybe have it), pure on SQ only (please put aside about UI, portability, convinience, battery, etc) how does it compare against DX90? I’m afraid Mike has all the Hifiman DAPs, sorry! Got one on hand now. Will review. Will show that a modded AK100 is just as good, if not better. A Mezzo Hifi modded MZAK100 is leaps and bounds better for certain things, than is the DX90. But both are absolutely excellent. What do you mean by certain things? Lower noise floor, better stereo separation, lower distortion in some areas; not to mention: balanced line output, faster interface, and a much better volume control. That said, the DX90 is the best _stock_ player I’ve used, ever. Modded, the AK100 is far and away the most impressive player I’ve used near and above its price. Quite enthusiastic review Lieven, I like it. FYI – I managed to sell my DX50 on Ebay for most of what i paid for it. It makes sense that those without budget for the DX90 will go for the 50, they are still far enough apart price wise that the DX90 will not cannibalize the DX50, and buying one used makes it that much more of a better deal. I think it bears repeating that even though it’s not as good as the 90, the 50 is great DAP in it’s own right and a great competitor in it’s price bracket. I’ll keep you to that. Thanks! That came out wrong. I was wondering what’s your occupation to seem so sure of your capability of delivering iBasso’s future goods. Mr. Mod answered my question. Thanks Mr. Mod! you are owner of headfonia Levien? you had in your profile in previous reviews as second to Mike, if I remember correctly. how does this work? 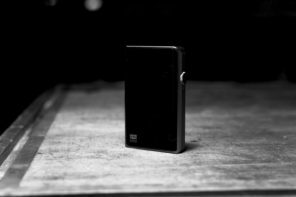 how the comparison with fiio x5 and dx90? When do you go to try the new Hifiman HM-650 ? And compare it with the iBasso DX90 ? Maybe I can get you one, I’ll keep you update. SO DX90 IT IS! ha I wish you could of done a direct comparison to the X5 as that seems like the main competition, I really don’t care about the UI (however I find the iBasso shuffle issue really funny/dump oversite). I can’t afford an AK and really don’t want to carry/buy an extra amp with something that expensive. Then there are the Hi-fi man ones too. Would the DX90 go good with SE535’s and T51p’s? Those are going be my main headphones, can’t afford the 846’s so I have 535’s (got them before the 846’s came out), D5000’s, Momentums then I’m planning on getting the T51p, and Grado 225i’s and mayyyybe the HD25 aluminum’s if they aren’t all god by the time I get around to it. OK! Thx, I’ve been really happy with my E17 and like the way the X5 looks better then the DX90, I also am not crazy about touch screens like everyone else seems to be but sound is more important, and it looks very well built. The reviews on the DX100 and DX50 didn’t make me to confident in getting one with the so so sound and roll of on each end but this seem like a lot better player. I agree. Spending that much money for a DAP and then having to buy an extra amp doesn’t make any sense. Unless you can and want to carry it around. Best SQ there is. For sure better SQ. I might be too demanding, but if I was to spend 1000-2000$ for a DAP I would expect a pretty decent AMP built in. Not better than a desktop amp, but something competing with the top portable amps out there. Yeah, I’m always like oh what are the A&K players going for again? $500? $600? Then I look and the cheapest one is like $800 with the 120 jumping to $1200 and I’m like NOPE. I stick to desk top amps for that kind of dough, I’d drop it or have it stolen or something. $500 IEM’s along with a $500 player is max for me to walk around with. Plus like you said you think it would come with a good sounding amp for double the price. What case is that? The Pelican 1010 is just too small for it. Will get the DX90 if the local headphobe store is throwing it in for warehouse sale. I’ll try to ask them..Thanks. I have a Pelican 1040, you can order the foam black from Amazon that fits in the Pelican 1040 and cut it to size. I use #M double-sided adhesive squares to hold a small chunk of foam in place that i found lay around. It’s worked well for me. I have also noticed a lot of photography store’s sell the smaller MicroCase line as well so you maybe able to pop by one and check the sizes before you buy. They are relatively inexpensive $10-30US spending on size and oh-so worth it. Oh there is Pelican store around here, I’ll check it out. Thanks. BTW I should tell you that the DX50 DOES fit in the 1010, but it’s SNUG. The Pelican cases have this kind of protective padding for lack of a better term, that holds the DX50, and by extension the DX90 in place but you have to dig your finger in a bit to get it out. I didn’t see this as an issue but some people may not like it. I managed to tuck away my UE TF10’s with an Effect after-market cable right on top of the DX50 – with careful placement. I don’t think you’ll get away with CIEM but a lot of UIEMs might work. L – I couldn’t agree more about the X3 providing detail but just really lacking in musicality. It actually makes me reach for my Sansa Clip to use with my Cosmic Ears BA4 most of the time, in which case i trade detail for that smooth musical signature and low-end growl. I sold my DX50, and just ordered a DX90. WOW I like the DX90+BA4 combo very much. I listen to a lot of older Jungle/Drum and Bass/House – music that wasn’t really recorded all that well to begin with. You know, no compression, bass running into the mids and highs, stuff like that. The X3 made that older stuff really painful to listen to and the DX50 did an OK job with it – the DX90 makes it sound as if i am listening to these tracks right off the original vinyl, using Ortofon club needles through a Mackie power amp. 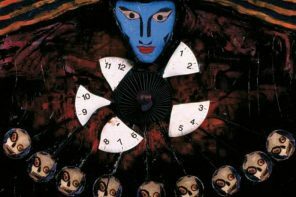 The transitions between all the drum sequences – spanning mids – bass, all the while with a growling sub base in the background are flawless and detailed. This is very difficult to do without making the music sound over analyzed and fatiguing. The highs are the best part they are present if a bit subdued, but richer than anything i have ever heard before, but without sacrificing micro-detail. That same richness continues when listening to newer, more accurate, modern recordings where the imaging and spaciousness of the ESS chips really get to shine. I’m pretty sure I’m going to be addicted to this setup for awhile. 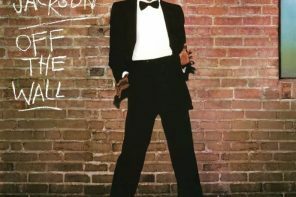 Hell, i may even go into the office more, just to ride the bus in rush hour traffic just to have an excuse to listen. My Sansa Clip has a DX90 poster on the wall so he can grow up to be just like him. I know thats sounds silly but everything I love about that sound is in the DX90/BA4 pairing just more of it. Expect to see an X3 on Ebay soon. Would the sound quality be much better than my current iPod+SR71A? Does the DX90 support lyrics display? Hi! Would the DX90 go good with Grado GR10’s, UE TripleFi 10’s and NAD VISO HP50’s? Would the DX90 go good with NAD VISO HP50’s, UE TripleFi 10’s and Grado GR10’s? Despite the fact that I haven`t heard DX90 myself, I think this “shootout” is somewhat unfair. It`s really pity that there was no custom firmwares involved. Stock 1.5.0 FW is quite ok sounding but DX50 has some VERY great sounding modified firmwares by Dmitry (Sound Unlocked 1.3.3) and DOC2008 (NDFFFinal). Those FW`s really take DX50 to another level. Recommend to try those out before pulling trigger on DX90. Hi, i want to buy dac/amp for home and dap for the on the go. Should i go for Audisnt HUD-MX1 and DX50 or for DX90 as dap and dac/amp? I am using hd598 and Vsonic vsd3s. 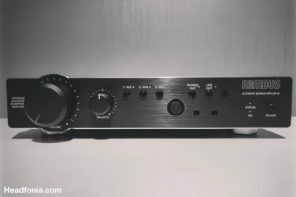 I found out that DX90 was not so good as desktop dac/amp. You may want to try NAD D1050 or Audiolab M-DAC for desktop amp. Or the newest Marantz HD-DAC1. I listened to them. Highly recommended. @disqus_vboO88CyS0:disqus I found out that DX90 was not so good as desktop dac/amp. You may want to try NAD D1050 or Audiolab M-DAC for desktop amp. Thanks, i have convinced myself to not use dx90 as home dac/amp, but the the option you stated are a bit pricy for me. At some later point i will save to buy a used one. Is the Amp/DAC section of the DX90 is better or worse than the JDSLabs C5D? Thanks. I prefer the DAC section of the DX90. Amp wise the C5D is more powerful. personally I wouldnt pair my DX90 with my C5D, the DX90s amp (or sound) is more open, while the C5D amp’s sound is fairly closed. I bought the DX90, and I am perfectly happy with it. I then bought the Fidelio X2, absolutely great headphones. I liked everything about this combination. However, I found the sound signature to be a tad too warm for my personal liking. I wish the X2s were a bit brighter. 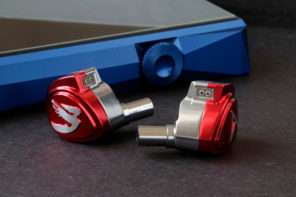 Are there open headphones that pair well with DX90 and sound as good as (if not better than) the X2, but are a tad brighter? My budget is $500. Yes, I think the sennheisers would be an overload to the DX90. How about the new hifiman he-400i? Would it fit the bill? Oops! I thought I read in your review of the HE-400i that it pairs well with the DX90. Maybe you meant with an external amp, or maybe I got that wrong. I thought the new he-400i was easier to drive than the old one. Here is where I got confused. Hifiman HE-400i: A really wonderful combo. No external amp is needed and even on low gain it sounds superb. It’s a great match and that results in gorgeous sounding mids and close to perfect bass. HE-400i review soon! and while I’m a big fan of the DX90, I’m not really liking this combo. The DX90 has more than enough power to drive the HE-400i even on low gain but as I have mentioned in other reviews, I prefer the middle gain setting on the DX90. The iBasso makes the HE-400i more dry sounding in a way and the clarity just isn’t there for me. I feel I am not getting the most out of it, which is a shame because I really dig the DX90 DAP. If I opted for the $600 HD700, would I be upgrading from the X2? And will the DX90 drive them well? And lastly, are they a little brighter than the X2s? 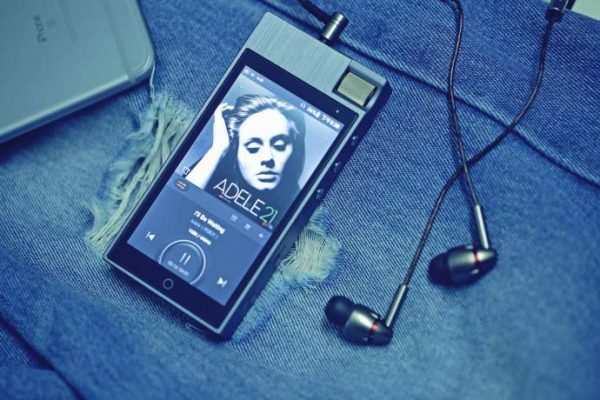 Will the Fiio e12 be good with the HD700? 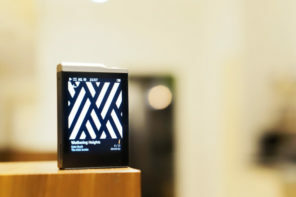 Will it be noticeably better than the built-in amp of the DX90? The Shure 940 is closed, but has a sound that’s bright and very open-sounding. A better alternative in my opinion would be the Grado 325. There are very few good open headphones below the Sennheiser 600 or 650 today. Thank you dale! I have thought about the Grado 325e. They seem to be very good but might miss out on the bass. What do you think of the Shure 1840 instead of the 940? The 1840 will have less bass than the 325 I think, but fairly close. The treble on the 1840 is ideal – not bright like the 940 and 1440. If you have the money get the 1840 – I love it. CAVEAT: Before you commit permanently to the 1840, get a copy of Jennifer Warnes’ song Rock You Gently, and listen to the introduction bass tones on the 1840. It’s …. well, I can’t describe it. Above that frequency the bass seems quite good, although a bit lean for me nowdays. So if you’re not a fan of extra warm bass or very deep bass, the 1840 is great. It seems the Grado 325e is a little of a better option since it has slightly more bass. Now coming from the X2, what do u think I am sacrificing the most when opting for the 325e? Soundstage? Bass? Yes to the bass, but also the excitement of the Philips tuning. I don’t have the 325 now, but when I had it it was similar to the HD600, but slightly more forward. 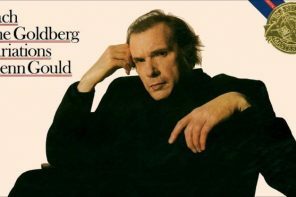 If I were using the headphone for portable use I’d need closed back, but at home it depends on whether you prefer the more subtle sound for classical etc. or the richer sound for rock, pop etc. I have a question concerning your ranking of the various DAP’s. If I m not mistaken, the ranking of quality is correpsondent to the ranking in price. As the fiio X1 has the positive aspect of the line out + amp, would the X1 + Amp (say an E12(a) be better than the DX50 without amp, or do the DAC parts of both have too much influence on that? Thanks, then I interpreted your reviews correctly. I looked them up, the X3 is slightly cheaper than the dx50 actually, but only by a margin. All the others correspond in ranking vs price. The Fiio X1 + amp (discounted E12) would still be cheaper than the DX50 and X3. And like you said in the other review, if I become more experienced listener I can later enter the higher end DAP world. Did you ever get the USB DAC working? And thoughts on it? I wanted to ask because I said you felt that the AK120II and AK240’s USB DAC felt a bit underwhelming. I was considering an upgrade from DX90 to the AK100II and would be using it extensively as a USB DAC as well as an on the go solution so I was hoping to get some thoughts on that! Hi, if I had to choose between these three headphones to pair with the DX90: Shure SRH1540, Focal spirit professional and Fedilio X2. Which ones would give me the best sounding experience especially regarding soundstage and instruments speration? The Shure 1540 is quite dark, while the Focal is very neutral. Does that matter? Amm, I’m not a big fan of dark sound. I thought that these two headphones are the best closed headphones within $500 to go for. I’m seeking something neutral, good soundstage, and comfy at the same time. So does being dark remove the Shure from the options? It’s hard to judge a headphone unheard, but it always helps when someone has compared them side by side as I have in these cases (actually I had the Philips L1, and I expect the X2 to be even better). Now to make things even harder to choose, the Focal is like a tank, and uncomfortable. The 1540 is much better, but if you check other reviews some users have commented on the fit problems. Probably the X2 would be the best bet. The X2 are open headphones, and I was keeping them as a last resort if I didn’t find any good closed headphones. So, could you recommend me any good closed headphones other than the two above? How about P5 Series 2? Quite good and improved compared to the old P5. I’m in the middle of breaking it in. I just got the P5 series 2, and among other things, it has a huge, huge suckout at 8 khz. Not a good headphone. I just got started with it – about 8 hours so far. If it changes with more burn-in I’ll keep you posted. @dalethorn:disqus Many thanks. I think they made it that way on purpose for a reason. Mine have change a little bit after few days breaking in, especially lower bass is now less “bloated”. Haven’t notice change in the 8khz though. Here’s what I arrived at for EQ, after 3 sessions with different headphones (Beyer T90, T51p, COP, DT1350, AKG K812, K712, B&O H2, Bose QC25, ….others). I EQ a little darker than classic neutral. Funny thing – I usually don’t expect any big change with burn-in, but my P5 did change a lot, and the problems are mostly gone. The bass is quite good. If you don’t like the sound eventually, you could try experimenting with the iPod’s default preset EQ’s. I’ve used several of them with different headphones. One last question, if you could add one closed headphone to the options, what would it be? If you don’t mind a little dark, the Thinksound ON1. On the opposite end with the equivalent brightness of certain flagship headphones, the Shure 940. In between those two examples are L’s suggestions, which BTW are what I use mostly. The H6 and DT770-32 would be my #1 and #2, but hey – if you can afford to go up a little, one of the planars. You have to be realistic about certain things, for one, that a closed headphone that’s nearly flawless and also closed is going to 1) Cost a lot, and 2) Require significant power. I think you might be happy with anything from the latest Mad Dog or ZMF, on up to the HE560 etc. But exactly how much power depends on 1) How much power is in the player, 2) How efficient the headphone is, 3) How loud the actual music tracks are**, and 4) How loud you play. **As a rule, the best hires music tracks are very dynamic, but not “loud”, and require much more power than the average 320k MP3 ripped from the average CD. Thank you! I understand now how hard it is to choose headphones. I guess am going for the X2 then as it’s the best choice amount the available options. Hello Lieven. I just upgrade my DX50 to DX90 and it is amazing! Anyway I have a question: adding Fiio E12A to DX90 is an improvement or should I stick with an internal amp? 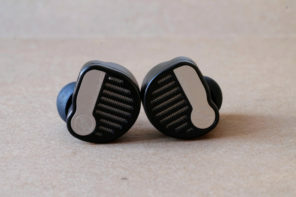 I use Yuin PK1 earbuds and already have E12A but if E12A isn’t add something good I may sell it. Thank for an answer. Really nice idea. I’m not yet spending many hours try an internal amp so I will try it in long session from tomorrow. Thank for your useful suggestion! Thanks for the review! I’ve been looking at the X5 vs the DX90, and was leaning towards the iBasso, but a coworker is offering to sell me his barely used X5 for $200, so that’s going to be hard to turn down. You think the DX90 is worth the extra cash? If it matters, I listen on a set of momentums, through a jds O2 amp (previously needed because I was using an old iPod video). I think something must be wrong with my ears because I have a DX50 and last week i upgraded to the DX90. I tested both with my Shure SE846 earphones and can’t tell any difference in sound quality between the two players. But they do sound better then the Fiio X5 to me. Thanks for replying to my message. I’m thinking something could be wrong with my DX90 or maybe the latest Firmware on DX50 has made such a big difference improving the sound quality of the DX50. They sound as good as each other with no difference. Could it be anything to do with the usb cable i’m using, i’m using the usb cable that come with my old Fiio X5. Or could it have anything to do with the micro sd cards i’m using. Ibasso claims that the player needs 400 hours burn in and i do notice the difference in sound quality after using the burn in cable. I think you should stop using the dx90 and burn it in for 1 month, then come back and check the sound. After 2 months of daily use (300 hours+ burn in) I can confirm that what Ibasso claim is true. I share your opinion. I felt minimal difference with both on HI @ 255 into a Beyer phone, and from line out into the O2’s into a T1 after listening to the same segment over and over from Sad but True by Metallica and a few other songs. There was a very slight difference in the separation but I felt not worth the upgrade. I am using 2.1.8 on the dx90 and 1.8.0 on the dx 50. I also feel that the FW upgrade on these beasts have made them so similar! Will the SE846 pair well with the DX90?? The SE846 sound excellent with the DX90. After 432 hours burn in plus two hours every day for over a week listening to music, i can’t tell any noticeable difference in sound. The DX90 may have a subtle change but i can’t notice it. I’ve gone back to using Firmware V1.6.0 on the DX50 because i think that sounds a bit better to me than the new V1.8.0 Firmware and i’m using Firmware modified by Lurker V2.1.8-L1 on the DX90. The only way i can make any difference in sound quality to the DX50 and the DX90 is by using a different Firmware and even when using a different battery makes a small difference to the sound of both players. It seems to me using the above Firmwares make both players sound exactly the same. I’m going to keep the DX50 and sell my DX90 because as we know the battery don’t last as long as the DX50 and i will get a better price for the DX90 because its still in new condition. 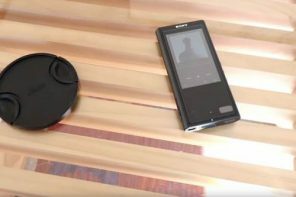 Any thoughts on pairing a DX90 with a Shure SRH940 for a portable solution? I can grab both for about $525 total. Lieven!! Try the new V2.2.0 firmware. The sound is quite similar to the V2.1.5L2 but slightly smoother and more spacious. Is there any problem with Dx90 on low Gain low frequency sound…what you think .i having problem on low frequency sound below 1 to 90its not audible for me…is it audible for you on that sound? Currently i using Fx850.with it. Because 1 to 90 volume is not audible for me….i am not understanding it is Dx90’s natural behavior completely ?on low gain below 1 to 90 volume or my dx90 having some issue. I dont have any friend who have Dx90. A shame that the new 100II didn’t get any love. It’s easily as good as the DX90 and has a better sound, superior interface, better screen and most important to me full wifi streaming via MQS-streaming that can easily stream DSD to the A&K. My entire 3.1TB library is read in an instant. That is true power of mobility but it comes at a premium ofcourse. thanks for the advice liven, i own an ifi ICAN Nano too, from my experience when i swap the I can nano into my stack replacing the ALO rx mk 2, i get a clearer sound ( the ALO rx MK2 is more warm sounding though), and a bit bigger soundstage. do you think the ICAN nano is a good amp to pair with the DX90. What do you think about the ICAN nano itself?. I know HUGO is a beast but its out of my budget man. Yeah i think u’r right, the ifi is not a warn sounding amp, its not a match for the HD 650. how bout a pairing of the ifi with e800, i think it fits each other quite nicely, cause IE800 is also a bit analytical IEM. what do you think Lieven?. Hello Lieven, I was wondering if I were looking for strictly a transport for an external dac, would there be any difference in the coax out between the DX50 and DX90? Thanks! Is it? 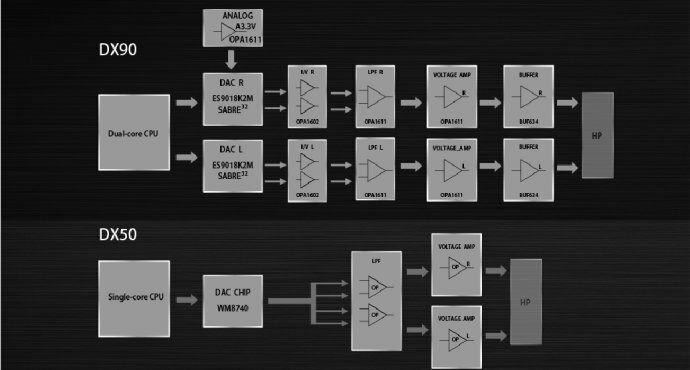 I thought that digital data shouldn’t use any conversion from DAC chip that much. For example in home theater I prefer to do ‘bitstreaming’ to bypass my player DAC into separate surround processor DAC. You’re right, for some reason I was talking about the LO. There was a good discussion on the topic in the X5SG thread on Headfi: why do coaxial out sounds different when it’s just a digital signal. Hey Liven, I liked your review a lot, thank you. I´ve looking for a player between the $250 to $500 mark, so this iBasso DX90 becomes a real contender. But I´ve seen the A&K Jr and looks really good too. Which one is better SOUNDING? What are your toughts on this? are there any others out there I should be looking at? I haven’t heard the Jr yet but the DX90 is really nice. Do note that the DX90 is discontinued, or at least, that’s the rumor. Have you checked out the Fiio X5SG? 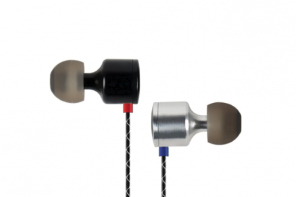 can you recommended any in-ear headphones with DX90? Thinking about Etymoticons HF5… ? What´s your suggestions? Thanks. Source = DX90 (lossless + hi.res), budget low (mid maybe, I will pay for it myself not my parents :), music all (mostly rock), now using combination of DX90 + Beyr DT990 Pro and music is (IMHO) very “juicy” and sound nice for me. Some in-ear with similar sound (a bit “juicy” no overbassed or cold). Thanks. Hi, I am using big headphones Beyerdynamic DT990 PRO, 250 ohms, 5 – 35.000 Hz. @DX 90 using mid gain and volume +/- 220 and its sounds very well. Have you tried IEMs with Dx90 before ?what you feel. What Is low gain low volume (1 to 90) for you? is it little audible or completely not audible for you.? Have no IEMs. Only Beyer´s. Oke. Have you know which overear headphone is good goes woth dx90 below 50 to 60 im looking at takstar hi2050. Is there any problem with time lag for the title when i click on a tune? Then, if I want to listen to the track, I press play. But I want to see the information before the music plays. My Fiio X3 has an annoying lag for the track title. I don’t want to have this problem if I buy a DX90. this and next yr is when hopefully we’ll see more daps/m3p players with wifi, given the growing popularity of streaming. it would have the competition quaking in their boots given how user friendly their current line is with so many features.